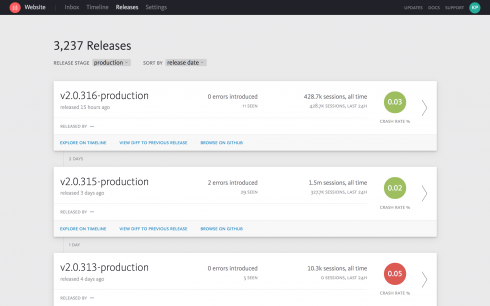 Bugsnag has launched anew Releases dashboard designed to provide teams visibility into their releases. Bugsnag is an error monitoring solution for web, mobile and server apps. This new dashboard will also enable development teams to put out releases faster and more often, according to the company. It has a crash rate indicator to show the percent of sessions that crashed, and enavles teams to track the health of releases across all platforms. Google has announced that PageSpeed Insights will now obtain data from the Chrome User Experience Report. PageSight Insights gives developers information on how well pages adhere to best practices. Getting information from the Chrome User Experience Report will allow it to make better recommendations to developers, according to Google. Adobe has released a security update for Adobe Flash Player for Windows, Macintosh, Linux, and Chrome OS. According to the company, “the update addresses an important out-of-bounds read vulnerability that could lead to information exposure.” The vulnerability was reported through Trend Micro’s Zero Day Initiative.